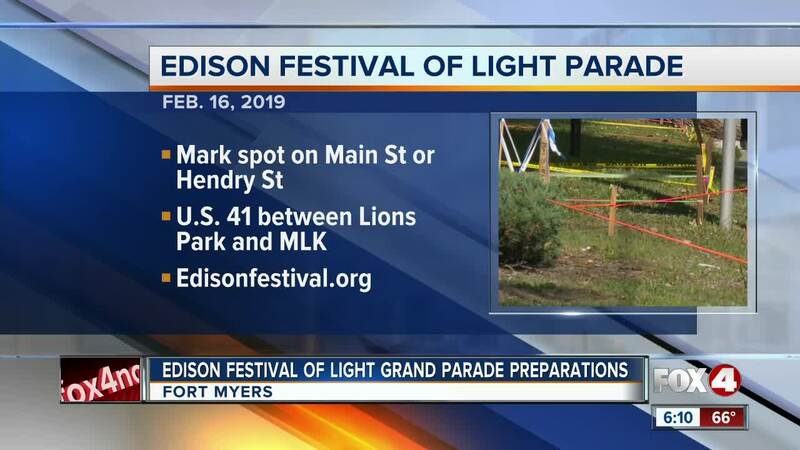 FORT MYERS, FLa. — We're just one month away from the Edison festival of light grand parade in Fort Myers. This will be the 80th anniversary for the festival. There are already taped off areas along the parade route. People are marking their spot to get the best view. The city recommends that you do not plan to sit on Monroe street or Edwards drive, instead, mark your spot on Main Street or Hendry. You can also find a spot on u-s 41 between Lions park and Martin Luther King Boulevard. You can also buy reserved seats for 10 dollars each. For information, go to edisonfestival.org.